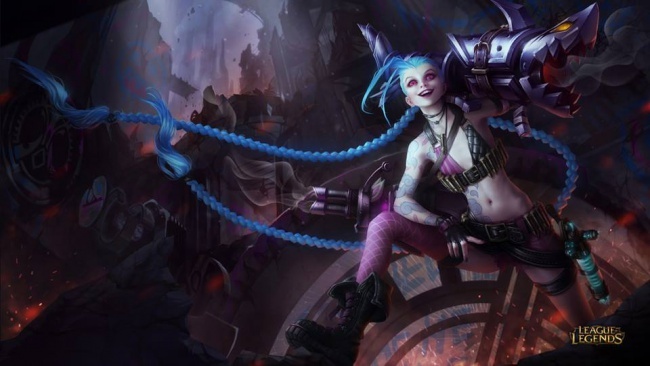 After a brief tease earlier this week, Riot has revealed Jinx, the Loose Cannon, as the next League of Legends champion. To no one's surprise, she's a hard carry and doesn't wear a whole lot. We already know she's a criminal and absolutely nuts, causing all sorts of problems for Vi in Piltover. 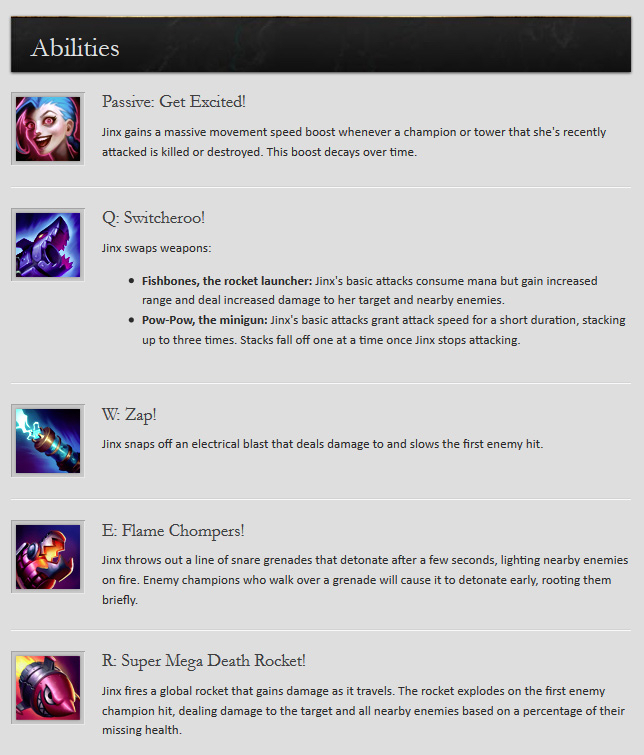 Well, now we also know for certain that Jinx likes using heavy weapons and explosives, and she enters the Fields of Justice with "a massive death launcher" and a pretty good supply of grenades. They're probably not the cute kind that Ziggs has, either. Jinx's quote resonates with me, personally. She states, "Oh look, I'm opening my box of care! Oh wait -- it's empty!"